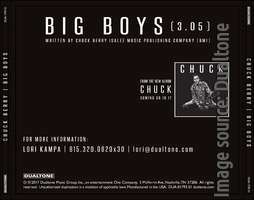 As announced on Berry's 90th birthday in October, the planned album CHUCK (Dualtone Music) was supposed to be released in March 2017. Obvious reasons now have postponed the release to June 16th. While waiting for the release, we are trying to get some facts about the songs and the recording process. Anyway this is what should finally make it to our database - and as correct as possible. While we know about all the uncertainties regarding Berry's recordings in the 1950s and 1960s, it shouldn't be so difficult to get facts about recent recordings, should it? Right now, some facts about the new album are public. Most of what's of interest for us, remains unclear, though. The contributors, some of which are reading and commenting here, seem to be under non-disclosure. So we have to stick with Dualtone's press releases and the liner notes excerpts reprinted in Rolling Stone magazine. Berry has been talking about this album in interviews for at least 25 years including naming songs such as "Lady B. Goode". He must have had recorded parts or all already when in March 1989 a fire at his Wentzville farm destroyed both the recording studio and all of the master tapes. Berry started re-recording the lost tapes shortly thereafter. He moved to digital recording techniques in the 1990s which allowed him to do the same cut-and-paste recording common with multi-track taping. Due to this we will probably never be able to set a date or even year of when a specific song from CHUCK was recorded. And we won't be able to tell where such recording took place and who played which instrument. Listening to the single Big Boys released in advance, we hear that Berry's singing and guitar playing is not that of a 90-year-old. Even comparing it to the concert tapes made during the last 20 years, he sounds fresh. Therefore we can assume that at least the base track for this song has been recorded in the 1990s or early 2000s. According to an interview, at least six of the tracks had been ready by 1996. Not to forget that "Big Boys" was dubbed ready for release in an article celebrating Berry's 80th birthday in 2006. Digital recording also allowed Berry to play more than one instrument. Thus while we are told that Jim Marsala, Bob Lohr and Keith Robinson worked as bassist, pianist and drummer on CHUCK, it might be for all songs, or just a few. Besides Marsala and Berry's children Chuck Jr. and Ingrid, who toured with him during the last decades, the album also lists guest musicians such as Gary Clark Jr., Tom Morello and Nathaniel Rateliff as well as Chuck's grandson Charles III. 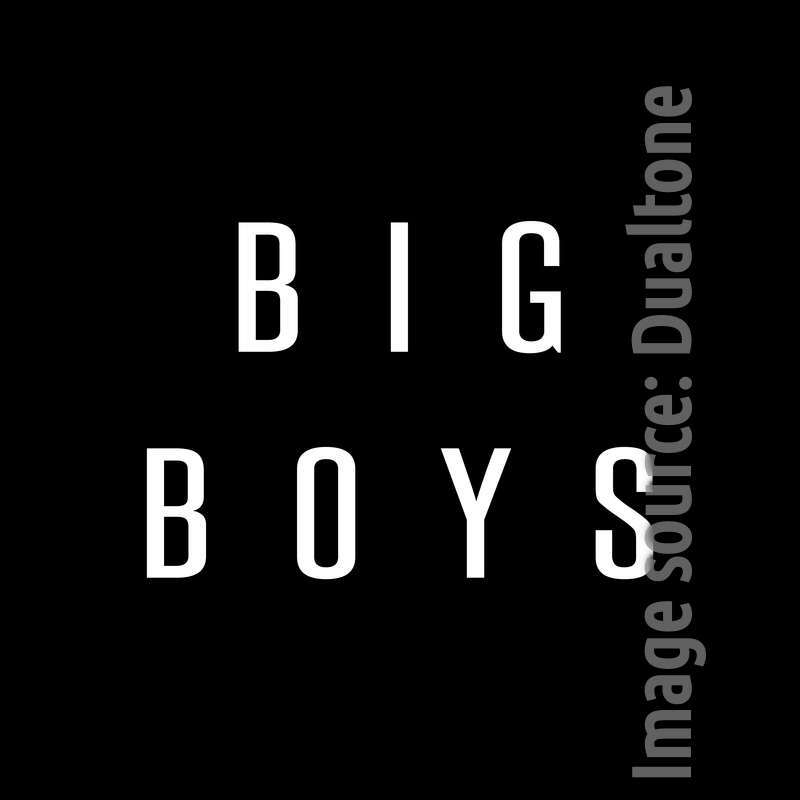 Tom Morello is the guitarist who provides the very unlike solo at the end of Big Boys, while Rateliff sings the background vocals. Whereas Morello has been a recording artist since the 1990s, both Rateliff and Clark are relatively fresh artists. This makes us believe that at least these guest artists have been overdubbed onto finished tapes during the last few years. While the liner notes list Clark Jr. on "Wonderful Woman", the guitarist himself says that he doesn't know which song his playing was used for. Berry Jr. explained that he and his son, that's Chuck III., finished their parts in Nashville in 2014 or 2015. In addition to Big Boys we already know two songs from CHUCK: "3/4 Time" has been in Berry's touring repertoire for decades. Written by Tony Joe White and best known sung by Ray Charles, this is included in various concert recordings known from Berry since the early 1990s. A version of the Jazz standard "You Go To My Head" from 1938, written by Fred Coots and Haven Gillespie, has been recorded during the rehearsals for Berry's 1986 birthday movie. It didn't make it to the film but can be heard on the corresponding DVD set. 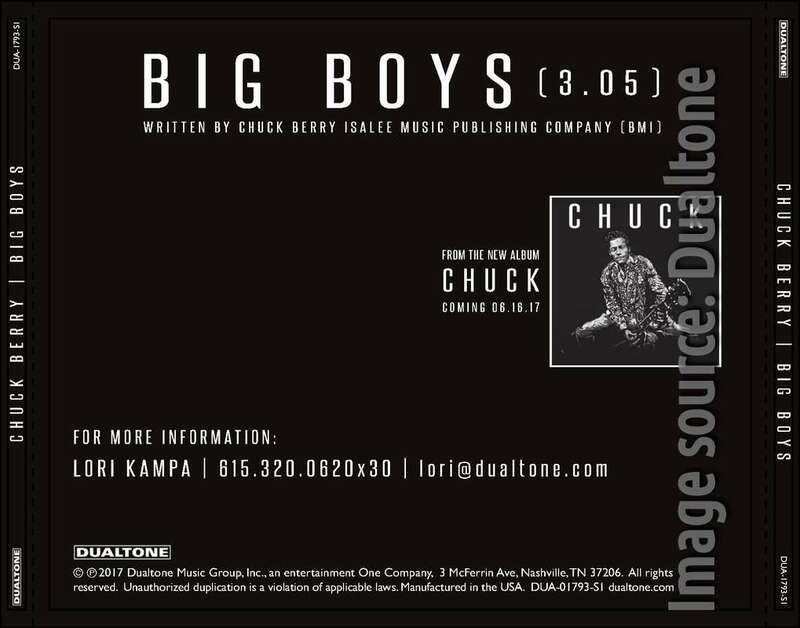 Collectors should note that "Big Boys" was not only released as a download. Dualtone Music also released a CD single (DUA-1793-SI) containing just this track. It was sent as a not-for-sale promotional item to radio stations. Many thanks to Lori Kampa of Dualtone Music for information about the album and PR single.